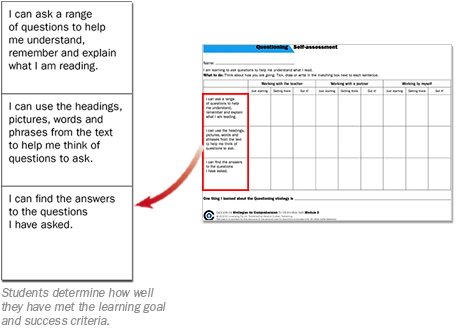 Each lesson includes learning goals for the strategy. 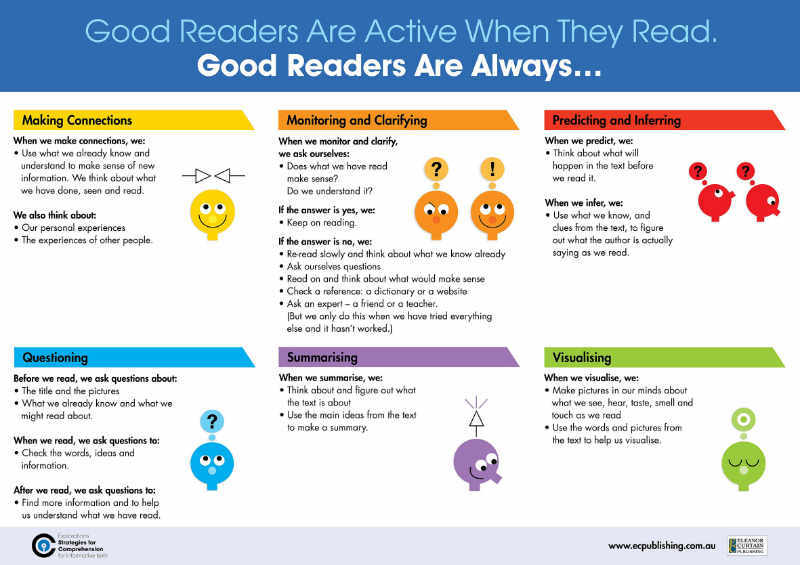 Self-monitoring during reading enables students to know if they are comprehending the text as they read and achieving the learning goals. Students self-assess learning at the end of each lesson. Students’ self-assessments provide teachers with a constant flow of information on the progress of individual students and of the class. A constant flow of information helps teachers provide effective feedback to students about their progress towards learning goals. Effective feedback is critical in supporting cognitive development. When students are provided with regular and goal-focused feedback, they begin to take responsibility for their own learning. Would you like a Comprehension Classroom Poster? Interested in an A1 poster for your classroom highlighting the 6 key Comprehension strategies?